Has Lady Gaga called off engagement to Christian Carino? 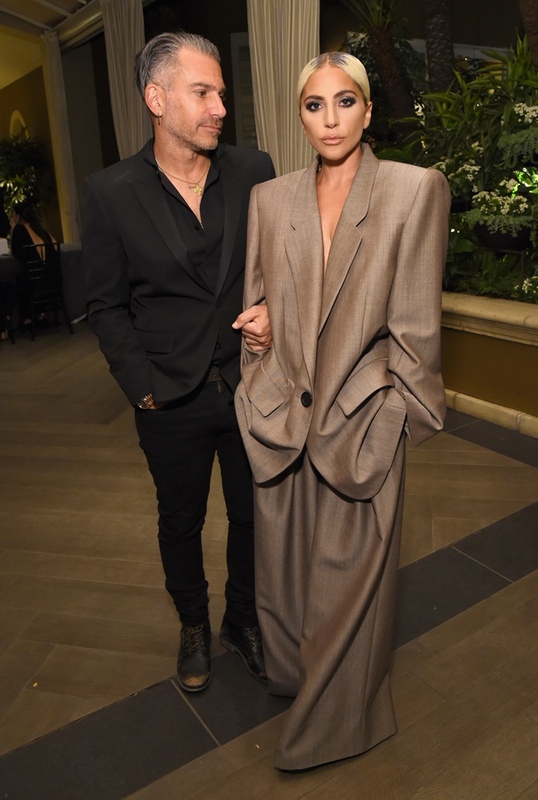 Lady Gaga was not wearing her engagement ring at the Grammys and her fiancé – or possible ex-fiancé – Christian Carino, was not there with her and he’s been at her side through award season. So there’s been speculation this week that they’ve ended their engagement. It’s not the first time she’s gone without the ring. During her shows in Vegas she also performs without the ring. But as E! also points out, Christian is following Gaga on Instagram but she’s not following him. Does that mean anything? Here’s a fun question: Christian showed up to all the award shows where Bradley Cooper was also in attendance. Coop wasn’t at the Grammys and neither was Christian – coincidence or conspiracy? Like to head off any potential rumours that people might want to be mongering about whether or not Jackson and Ally are movie life to true life? For sure Bradley is going to the Oscars next week with Irina Shayk. I can’t imagine her not joining him given she was at the BAFTAs and the Globes with him and he’s taken Suki Waterhouse in the past. So if that’s actually the formula (I doubt it’s the formula) will Christian be at the Oscars with Gaga? Or is it really done between them? Gaga is 33 next month. She’s just spent the last six months enjoying the launch of a new era in her career. Christian is estimated to be around 50. Gaga is nothing if not metamorphic. It’s not impossible that they’re no longer meeting at the same points in life.